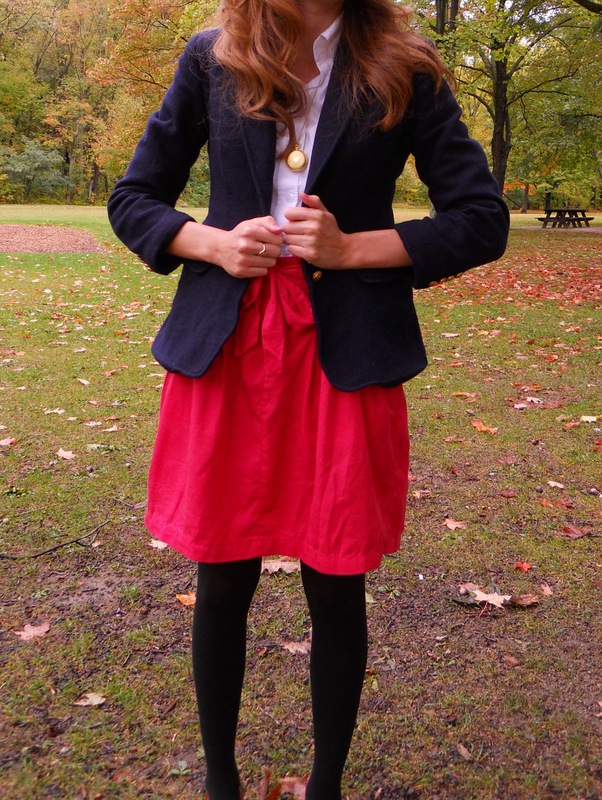 In the fall my outfits get very scholarly. That’s probably because for the majority of my life so far, fall meant going back to school. My uniform for high school was not attractive, I will admit that, but I always come back to that collegiate look for fall—school boy blazers, loafers, tights. We did have to wear tights in high school, which I didn’t mind. However, I don’t think my high school had fashion in mind when they enforced that rule. Next Post Best game day look winner! You look like you cam straight out of a magazine. Fantastic!